How Can a Nevada Asset Protection Trust Attorney Help You? The need to protect your assets grows ever more important as our society becomes ever more litigious. The Nevada Asset Protection Trust is a fortress-like structure that shields your assets from creditors and future lawsuits. The Nevada Asset Protection Trust (“NAPT”) is an irrevocable trust and therefore much more protective than a traditional revocable living trust, which (because it is easily revoked or terminated) offers no asset protection. The NAPT is used in conjunction with your living trust (and asset holding LLCs) to provide comprehensive asset protection and estate planning certainty. How does the Nevada Asset Protection Trust work? You place selected assets into the trust. As such, you are the Grantor or Settlor of the trust. Uniquely, the Nevada Asset Protection Trust also allows you (and other family members, if you’d like) to be the beneficiary of the trust. You can receive money or property distributions from the trust, while assets held in the trust are protected from creditors. Thus, the Nevada Asset Protection Trust is a self-settled spendthrift trust. Before the 1999 Nevada legislation allowing these trusts, you could set up a spendthrift (or creditor protected) trust for your children or others but you couldn’t set one up with you as the beneficiary. (The term self-settled means that you are both the Settlor and the beneficiary.) With the increasing need to protect assets from frivolous and harassing litigation, the Nevada legislature removed the former restrictions on self-settled trusts and approved the Nevada Asset Protection Trust. You can now settle a trust for your own benefit. Because the assets are now held by the Nevada Asset Protection Trust, they are not the personal property of the beneficiaries. As such, they are not exposed to claims against the beneficiaries. In this structure, Joe placed the ownership of the two asset holding LLCs into the Nevada Asset Protection Trust. That is, the trust is now the member (or owner) of the LLCs. Joe is still the manager of the two LLCs and makes all management decisions on their behalf. When profits are distributed into the Nevada Asset Protection Trust an independent trustee is responsible for making any distributions to Joe, the beneficiary. In this manner, Joe does not have control of distributions. He must ask the trustee to make a distribution. Importantly, Nevada law prohibits a trustee from making any distribution to one of Joe’s creditors. A creditor cannot get at the assets held in the Nevada Asset Protection Trust. What are the restrictions of a Nevada Asset Protection Trust? Assets placed into a Nevada Asset Protection Trust are protected two years after the transfer takes place. Meaning there is a two-year waiting period before the assets are completely secure. Know that Nevada has the shortest waiting period in the country. Many other states offering asset protection trusts have waiting periods of four years or more. Under federal law, the period is ten years. So if assets are placed into the trust within ten years of a bankruptcy filing, the bankruptcy trustee can invalidate the transfer, thus leaving assets exposed to creditors in bankruptcy. Of course, the solution is to set up your Nevada Asset Protection Trust as soon as possible. Get the assets in place and let the clock start ticking towards your protection. Very few will file for bankruptcy, so the ten-year period is not a great concern. 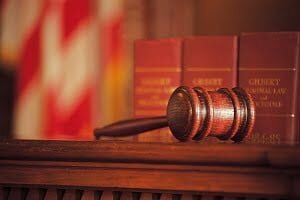 It is the two-year period to head off frivolous litigation that you want to start working against right away. One other drawback to the Nevada Asset Protection Trust is that there are very few court cases determining the full extent of protection allowed. While Nevada residents will most likely be completely protected (it is the law of Nevada), other states may see otherwise. One can foresee a California court denying complete creditor protection for California assets held by a Nevada Asset Protection Trust. A potential solution may be to have paper assets moved out of California and held in a Nevada LLC as shown in the illustration above. No matter how a future court case may come down, you are much better off using a Nevada Asset Protection Trust than not. The burden on a creditor to file a complaint, and then spend further monies and time to hope for a beneficial judicial result, is a very real deterrent. Most, if not all, creditors do not want such aggravation. Create your fortress now. What are the requirements of a Nevada Asset Protection Trust? A key requirement is that at least one of the trustees must live or be located in Nevada. The Nevada trustee must maintain the trust records, see that trust tax returns are prepared and carry on some or all of the Nevada trust administration. Our firm charges $1,500 per year for this service (plus an hourly fee for additional services). Other banks and trust companies (which we can refer you to) may charge more or less. The trust must be irrevocable and must not be set up to delay or defraud the settlor’s known creditors. Of course, setting up the Nevada Asset Protection Trust when the seas are calm avoids this issue entirely. The Nevada Asset Protection Trust agreement cannot compel the trustee to make distributions to the trust’s beneficiary. The trustee has discretion to do so (and will most likely always comply with a distribution request). Given this discretion, the trustee is then able to deny the distribution demands of a beneficiary’s creditors. Nevada law also prohibits the trustee from making distributions to judgment creditors. Does the Nevada Asset Protection Trust offer any flexibility? Even though the Nevada Asset Protection Trust is irrevocable, it does offer some flexible features. First, the settlor can serve as the Investment Trustee and exercise sole control over the trust’s investments and management. As previously mentioned, the settlor can also serve as the manager of any asset holding LLCs owned by the Nevada Asset Protection Trust. If the settlor doesn’t approve of one or more of the trustees administering the trust they have the authority to replace any of the trustees. This gives the settlor a very strong power to make necessary administrative changes. The settlor also may retain a “power of appointment,” which allows for changes in how and to whom the assets will be distributed upon death. So even though the trust is irrevocable, if he or she wants to change beneficiaries or percentages (i.e. devoted children get more), the settlor’s later wishes can be met. How can I get started in forming a Nevada Asset Protection Trust? Sutton Law Center offers a free short consultation to see if a NAPT is right for you. Please contact our office at (800) 700-1430 to speak with a Nevada asset protection trust attorney.